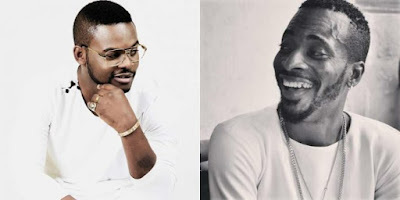 Yesterday, the internet was agog with all genre of drama following an interview Falz, granted to Hip TV, poo pooing artistes who promote fraud/fraudsters with their music. You are an entertainer, in a position as a role model to younger ones coming up and in your musical record you are greeting all the yahoo boys, you are greeting all the fraudsters, calling their name personally, hailing them, wire wire mo fe cha che…you are making the young ones think it’s cool to do it, it’s not. You are destroying our future. During the interview, The SOFT WORK crooner, refrained from mentioning names but that did not stop the internet from assuming he was referring to certain acts, with one of such acts feeling the need to fire back at the rapper. The artiste, veteran act 9ice, while speaking with Hip TV, debunked claims his successful record, LIVING THINGS is promoting fraud. It’s not about promoting fraud, so to speak. It’s about one who wakes up in the morning needs to go and work and earn a living. It’s not negative, it’s positive. You just have to be in that realm to understand what the song is all about.